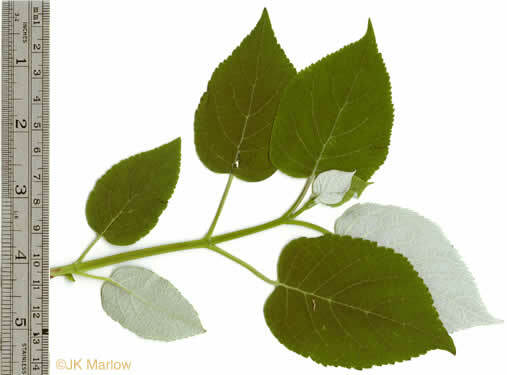 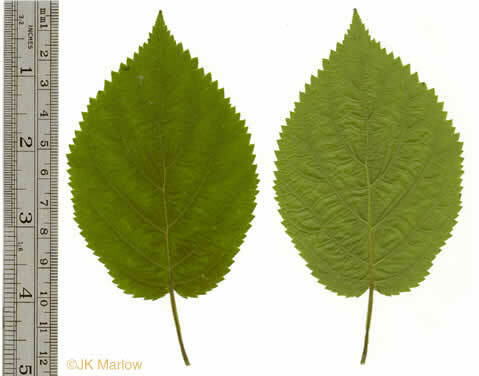 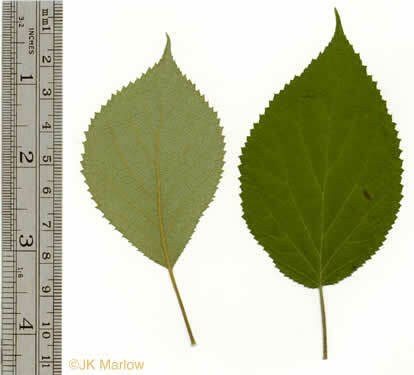 Your search found 6 image(s) of leaves of Hydrangea species. 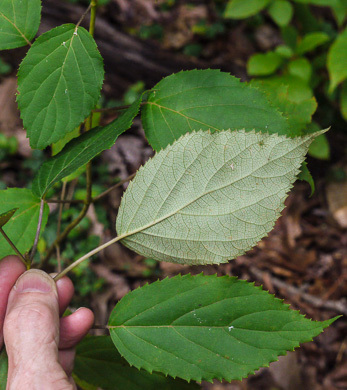 Leaves green below, per Woody Plants of the Blue Ridge. 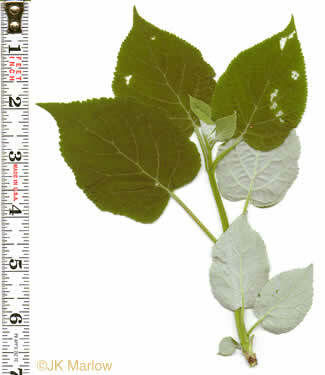 Leaves white below, per Woody Plants of the Blue Ridge. 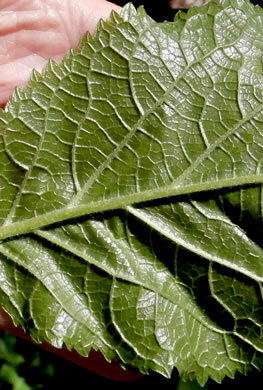 Lower leaf densely floccose-velutinous, felt-like, appearing white or silver, per Weakley's Flora.